New England tends to get the best press for its beauty in the fall. Deservedly so. But if you’re looking for a great fall weekend away and you’re not within striking distance of New England’s postcard-perfect locations, you might like one of the following options. From quaint mountain towns to riverside cities, these places are just right for a quick two- to three-day escape. 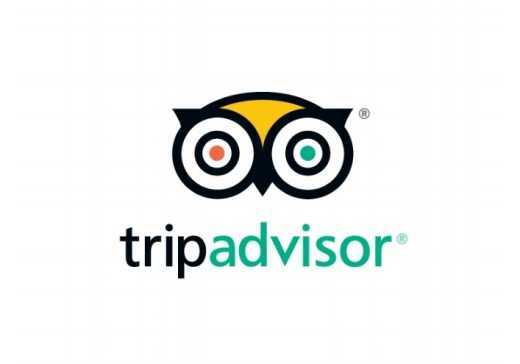 You can be as choosy as you like when it comes to your accommodation, with many stunning properties available from TripAdvisor Rentals. Read reviews from previous guests and enjoy the extra amenities and space that rentals offer. A rustic log cabin in the woods, perhaps? Check out these 14 Eastern US destinations that are perfect fall weekend getaways—for those not near New England. 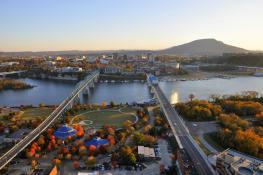 Proud Chattanoogans will tell you their home town is the best ever. They’re rightly proud of their Tennessee River setting, their fantastic dining scene, and the range of activities you can participate in. The natural formations and gardens at Rock City, on top of Lookout Mountain, are spectacular at this time of year—but even better are the glorious panoramic views. Published online: Oct. 16, 2017.